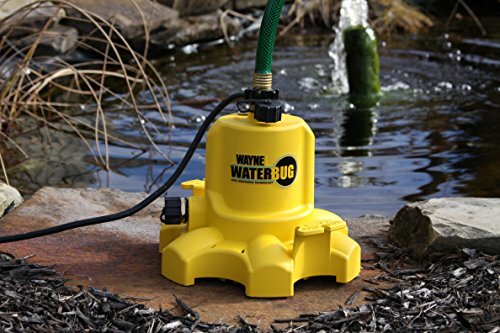 WAYNE WWB WaterBUG Submersible Pump with Multi-Flo Technology is the water removal tool for every home! Product prices and availability are accurate as of 2019-03-26 19:38:59 EDT and are subject to change. Any price and availability information displayed on http://www.amazon.com/ at the time of purchase will apply to the purchase of this product. Assembled in the US with foreign and domestic parts Multi-flo technology allows easy selection of the appropriate discharge for the application Top discharge is perfect for tight spaces where water removal is needed: hot tubs, laundry tubs, window wells, buckets, bathtubs, etc Side discharge is ideal for easy water removal from flat open surfaces: flat roofs, flooded basements, standing water in yard, shower stalls, etc 30 ft. Max head. ; removes water down to 1/16 in. Of surface, virtually dry Max. 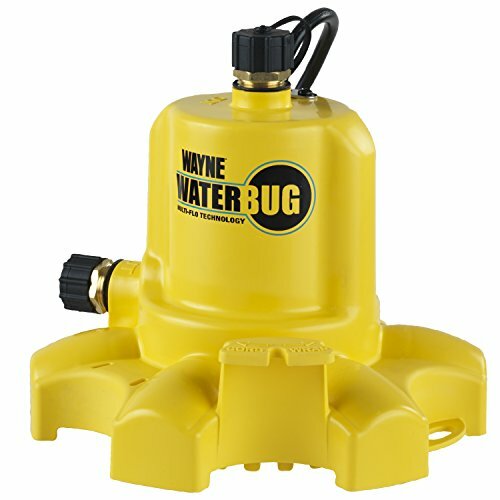 Flow rate is 1257 gallons per hour: 900 gph at 10 ft Eliminate standing water in your yard, and the risk to attract mosquitos. 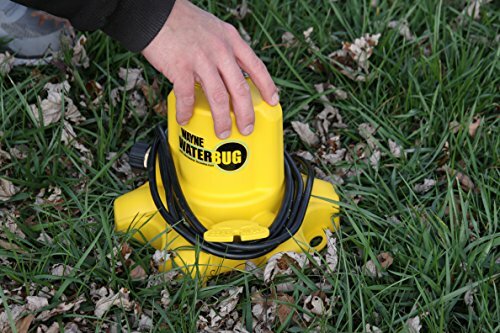 Use the WaterBUG to stop the bugs!